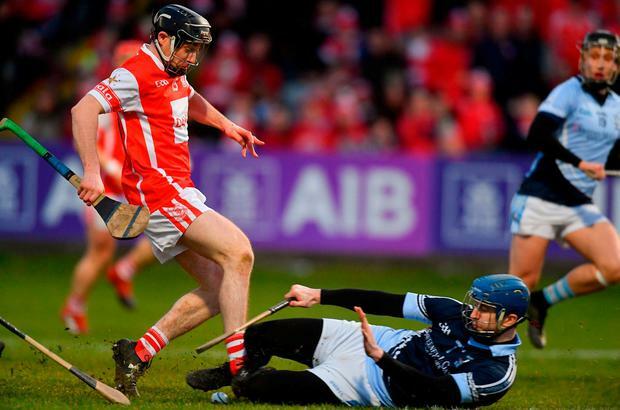 Amid the wild celebrations in Portlaoise and nursing a badly injured hamstring, Paul Schutte still managed to be philosophical about Cuala's position on the pantheon of great club hurling teams. "It's still subjective whether we're a great team but you have to win it back to back to be put into that category," the captain mused after another epic match with Na Piarsaigh, seven days on from their Croke Park, extra-time, instant classic on St. Patrick's Day. "Now there's a few facts backing that up," Schutte pointed out. "It's good company to be in." Across the corridor, a heartbroken Shane O'Neill was in less doubt about Cuala's new status. 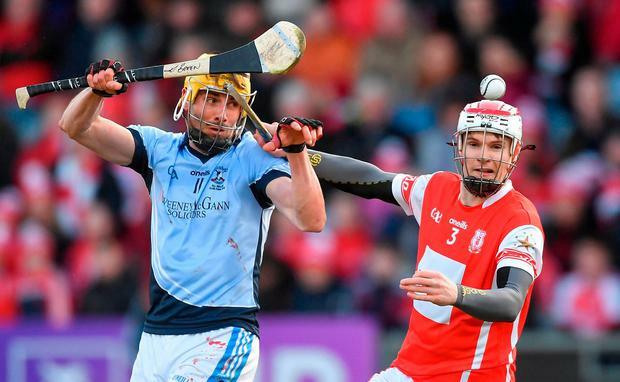 "To be playing against a group such as Cuala over in the other dressing just shows the standard of club hurling is at a higher level…it's just absolutely ridiculous the way it's gone," the Na Piarsaigh manager observed. "The physique of the guys, the pace of the hurling, the quality of it, is just absolutely superb. "We definitely know we were involved in two epic games." O'Neill's mood was coloured by the knowledge that Na Piarsaigh could very easily have won either one. 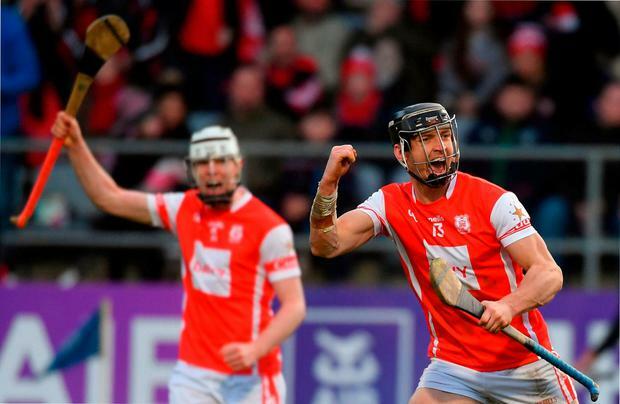 In a tie of a million moments over two titanic struggles, all that really separated these two great champions was Cuala's ability to do the better things at the vital stages in what were arguably two of the best All-Ireland club hurling finals in the competition's history. Over the two games, they 'won' injury-time by 1-5 to no score. 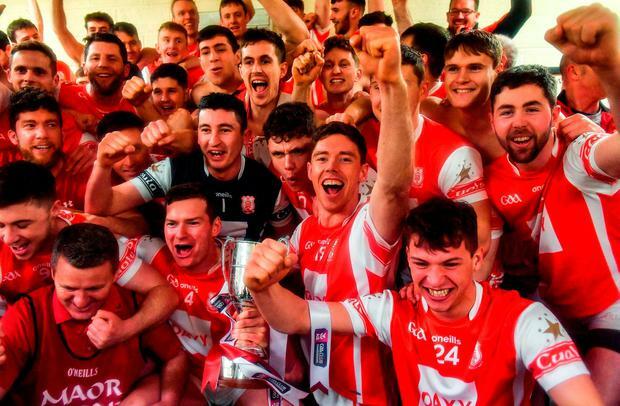 Just as they made the biggest plays when Na Piarsaigh were on the cusp of victory in the drawn game a week ago, Cuala kept clearer heads in those parts of Saturday's match when their All-Ireland was won. "Every game you play, sometimes to get a period of dominance or a stretch of time when you're on top," observed a beaming Mattie Kenny afterwards. "That was end to end. 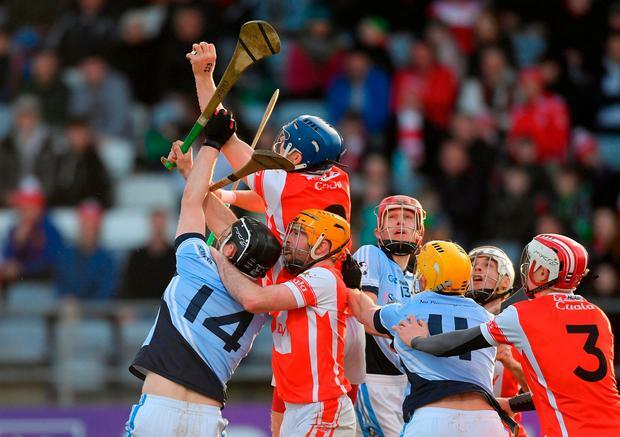 Every time Na Piarsaigh attacked, they looked so dangerous. Every time we attacked, we looked dangerous." The artistry of Con O'Callaghan - the man who just cannot lose - emerged just when it was most needed, for example. O'Callaghan's equaliser 12 seconds shy of the allotted 60 minutes, his stampeding run at three Na Piarsaigh defenders that resulted in an injury-time free - albeit a hotly disputed one - and his assist for Mark Schutte's final score of the game, were all utterly vital. At the back, Cuala's spine was reinforced after taking a bit of battering in Croke Park last week. Cian O'Callaghan muted Kevin Downes while Seán Moran, perhaps Cuala's most consistent player these past two silver-plated years, submitted another valiant display at centre half back. Mark Schutte (1-2) was a force of nature up front too and though David Treacy's free-taking wasn't nearly as pristine at had been in Croke Park a week previous (four wides from 12 attempts), it was deadly accurate precisely when it was required to be. "Like, some times in the last four or five minutes, there was a little ruck. And whoever came out with that ball, you were saying this was going to be a momentum swing," Kenny noted. "The small things, the bounce of a ball or the winning of a ruck became such a huge thing in the game because there was so little between the sides." Two Cuala goals in a minute of breathless second half action put them six clear but, as if magnetically drawn to parity, Na Piarsaigh responded brilliantly to score the next 1-3 and even inched ahead through Shane Dowling as injury-time approached. Earlier, Adrian Breen had scored five points in an exhibition of corner forward play while in keeping with almost everything about the game, Dowling's assist and David Breen's goal were of the utmost quality. That set us up for the finale this amazing tie deserved and it was there - finally - that Cuala identified themselves as champions. "We always talk about the group, about everybody working for one another, the character that's within our group," Kenny explained afterwards. "It's about everyone working for the team and no-one being bigger than the group. "We couldn't be prouder of this bunch of players. They're an exceptional bunch." "Someone said to me," he added, "that in hurling and in sport like this, you're training and living for the 15 minutes after the match. "Because that's the unbridled joy you get from a victory like that." Scorers - Cuala: D Treacy 0-9 (7f, 1 '65), M Schutte 1-2, N Kenny 1-0, Con O'Callaghan 0-2, D O'Connell, S Moran (f), J Sheanon, J Malone 0-1 each. Na Piarsaigh: A Breen, S Dowling (4f) 0-5 each, K Downes, P Casey 0-2 each. J Boylan, D Dempsey, G Brown 0-1 each. Cuala - S Brennan; O Gough, Cian O'Callaghan, S Timlin; P Schutte, S Moran, J Sheanon; S Treacy, D O'Connell; C Cronin, D Treacy, J Malone; M Schutte, Con O'Callaghan, C Sheanon. Subs: N Kenny for C Sheanon (26 inj), S Stapleton for P Schutte (29 inj). Na Piarsaigh - P Kennedy; A Dempsey, M Casey, N Buckley; J Boylan, C King, K Kennedy; W O'Donoghue, D Dempsey; S Dowling, P Casey, D Breen; K Downes, A Breen, R Lynch. Subs: T Grimes for M Casey (32 inj), C Boylan for Lynch (40), G Brown for Buckley (41), M Foley for Boylan (59). Ref - P O'Dwyer (Carlow).